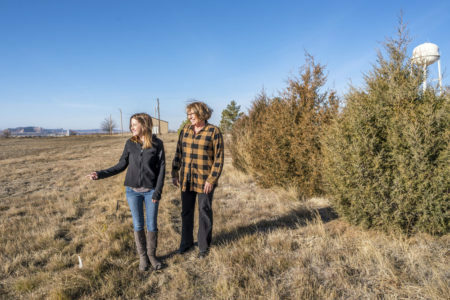 The [North Platte Natural Resources District] is raising funds for a solar-powered, geothermal-heated greenhouse, sunk 4 feet into the ground over a network of ducts circulating 54-degree air warmed by the earth. The greenhouse would measure 126 by 17 feet and stand 14 feet high, said NRD Assistant Manager Barb Cross, who is overseeing the project. General Manager John Berge conceived the project, which will include an outdoor learning facility, to promote NRD’s research and education missions . . . Solar power will provide the $500 worth of electricity needed each year to run the fans. The greenhouse panels will be made of impact-resistant Lexan plastic, manufactured in Alliance . . . Practical experience will be provided by intern Jenifer Berge Sauter, who will operate the greenhouse, and by Russ Finch of Alliance, who has been growing a variety of plants, including citrus trees, in his own greenhouse for about 25 years. Click here to learn more. YouTube Video, Harvest Public Media: Can the Midwest Grow Citrus? Russ Finch lives in northwestern Nebraska in the town of Alliance. He designed and built ‘The Greenhouse in the Snow,’ a greenhouse that runs only on a small fan that circulates geothermal heat. 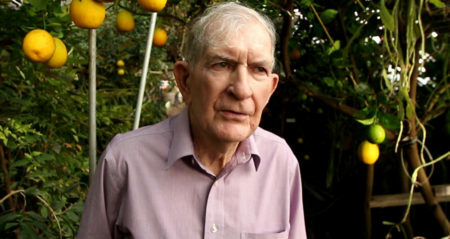 Using energy costs of about one dollar a day, Russ produces hundreds of pounds of citrus fruit every year to sell at local farmer’s markets. This entry was posted in Nebraska / Midwest News, Solar Energy Education and tagged "Greenhouse in the Snow", geothermal-powered greenhouses, North Platte Natural Resources District, NRD Assistant Manager Barb Cross, NRD General Manager John Berge, NRD Intern Jennifer Berge Sauter, Russ Finch of Alliance, Scottsbluff Star Herald, solar-powered greenhouses on December 12, 2017 by Helen Deffenbacher. 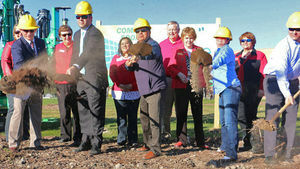 An historic groundbreaking took place on Wednesday for the Scottsbluff Community Solar Project, the first of its kind in the Panhandle. 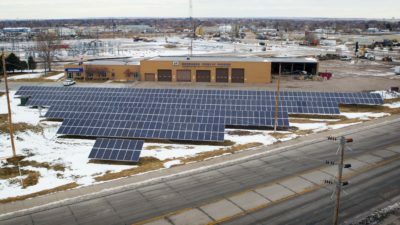 In July 2015, the Nebraska Public Power District (NPPD) chose Scottsbluff as the pilot city for its community solar project in part because there is plenty of land and sunshine. NPPD and the city have also had a strong relationship over the years, and both entities felt working together would go smoothly. Continue reading. 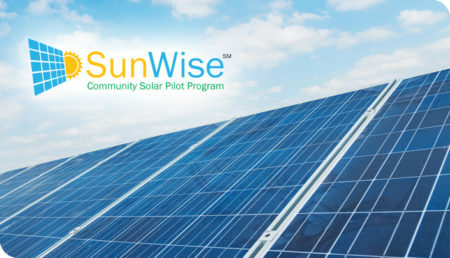 This entry was posted in Community-Scale Solar, Nebraska / Midwest News, NewsBlog and tagged community solar development in Nebraska, Mesner Solar Development of Central City, Nebraskans for Solar, NPPD's pilot community solar program - SunWise, Scottsbluff Star Herald on November 3, 2016 by Helen Deffenbacher. An official groundbreaking for the Scottsbluff Community Solar Project on Wednesday will begin the physical work on a project that’s been in the works for nearly two years. The public is invited to the event, which will eventually see a 128-killowatt solar array in the area, providing greener electricity to the city. Click here for additional details. This entry was posted in Community-Scale Solar, Nebraska / Midwest News, NewsBlog and tagged community solar development in Nebraska, Finance & Commerce, Green Biz, Iowa's wind energy development, Mesner Solar Development of Central City, Midwest renewable energy development, Nebraskans for Solar, NPPD, Scottsbluff, Scottsbluff Star Herald, SunWise - NPPD's Pilot Community Solar Program, The Gazette on November 1, 2016 by Helen Deffenbacher. To lower rates for residential and business customers and add more renewable sources of power, the South Sioux City municipal utility has spent the last few years moving to diversify its mix of wholesale power. In January 2015, the city council voted to reduce by 30 percent the power it gets from its longtime partner, Nebraska Public Power District, starting Jan. 1, 2018. 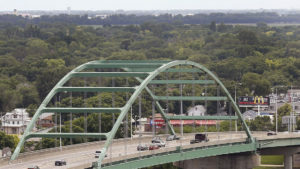 The city’s contract with the state’s largest utility is scheduled to expire in 2021. Click to read more. This entry was posted in Nebraska / Midwest News, NewsBlog and tagged CleanTechnica, Greentech Media, Into the Wind - The American Wind Energy Association Blog, Midwest Energy News, Nebraskans for Solar, Scottsbluff Star Herald, Sioux City Journal, Star Tribune, The Climate Reality Project, Utility Dive on September 2, 2016 by Helen Deffenbacher. Scottsbluff could be the site of a community solar project, ideally positioned to get the biggest benefit from the sun. Homeowners and renters are eligible for the program. A pilot project in Scottsbluff would involve 20 homes. More education is needed on solar energy, terminology. Solar energy to be one aspect of “diverse portfolio.” NPPD hopes to have project operating by January 2017. This entry was posted in Community-Scale Solar, Nebraska / Midwest News, NewsBlog and tagged community solar pilot project, Irene North, Nebraskans for Solar, NPPD, Scottsbluff Star Herald on April 16, 2016 by Helen Deffenbacher. The City of Scottsbluff and Nebraska Public Power District (NPPD) continue to pursue a community solar project and define how the program will work. NPPD filed a letter of intent for the project on Jan. 4 to document the process between NPPD and the city so they can continue working toward formalizing their arrangement . . . The City of Scottsbluff will have the right to exit the agreement if the Nebraska State Legislature does not adopt renewable energy incentives in LB 423 or if the developer fails to be awarded a USDA REAP grant for the project. Read more. 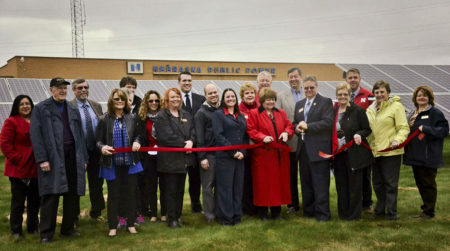 This entry was posted in Community-Scale Solar, Nebraska / Midwest News, NewsBlog and tagged community solar development in Nebraska, Irene North, LB 423, Nebraska Public Power District (NPPD), Nebraskans for Solar, Scottsbluff Community Solar Project, Scottsbluff Star Herald on January 7, 2016 by Helen Deffenbacher. The Nebraska Public Power District (NPPD) is another step closer to making the city of Scottsbluff a pilot site for solar energy. The Scottsbluff City Council moved to accept NPPD’s Community Solar project, which aims to bring community solar to western Nebraska. The project would see a solar facility next to the NPPD building in Scottsbluff. It would be interconnected to a distribution line where multiple end-use customers within the community could participate. Continue reading. The Kansas City Star: Independence community solar farm proposed If built the solar farm could be the largest in the Kansas City area. This entry was posted in Community-Scale Solar, Nebraska / Midwest News, NewsBlog and tagged community solar projects in Nebraska, Nebraska Public Power District (NPPD), Nebraskans for Solar, new Kansas City area solar farm proposed, Scottsbluff Star Herald, The Kansas City Star on December 13, 2015 by Helen Deffenbacher. On Monday, President Barack Obama released the final version of the Clean Power Plan, designed to decrease greenhouse gas emissions from U.S. power plants. The plan would increase regulations to limit the amount of carbon power plants can emit. Specifically, the Environmental Protection Agency’s plan calls for the United States to cut its C02 emissions by 32 percent from 2005 levels by 2030, stricter than the 30 percent in last year’s version. Democrats laud the plan as a boon for the environment, while Republicans decry it as expensive, anti-industry and harmful to jobs and the economy. In Nebraska, Gov. Pete Ricketts has come out against it, saying he’s concerned it would be a burden and costly to residents. This entry was posted in Nebraska / Midwest News, NewsBlog and tagged Environmental Protection Agency (EPA), Nebraskans for Solar, President Obama's Clean Power Plan, proposed community solar project in Scottsbluff, renewable energy & economic development in Nebraska, renewable energy development in Nebraska, Scottsbluff Star Herald on August 5, 2015 by Helen Deffenbacher.